I have reviewed a bunch of different mechanical keyboards, but I really think this is one if not the best budget mechanical gaming keyboard. 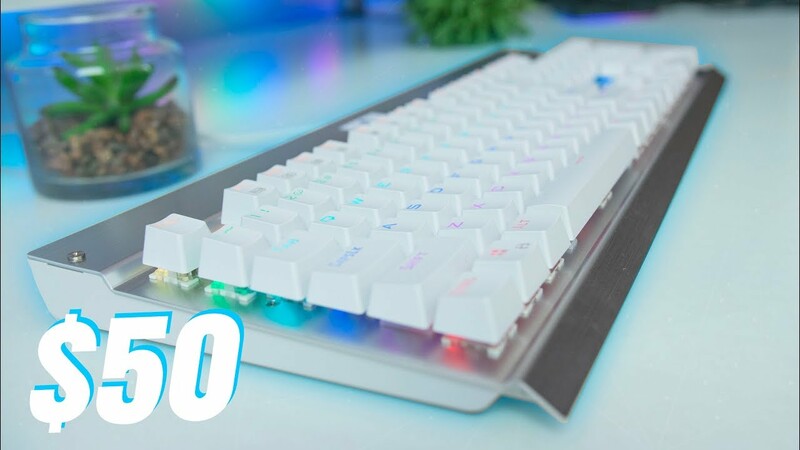 For only $50 you get a good looking white and silver (get it in black as well) full RGB mechanical keyboard with Outemu Blue switches. We have been seeing mechanical keyboards prices going down. WHich now makes it possible for more people to afford a mechanical keyboard.